Like many Americans, I first heard of Steven Spurrier when George Taber’s story about a wine tasting in France made the cover of Time magazine published June 7, 1976. This cheeky Brit with a wine shop in Paris organized a blind tasting comparing California and French wines with a panel of French judges. Quelle horreur, California wines took the top spot for red and whites. At the time, I was a sommelier at Arthur’s, a Dallas restaurant with an all-American wine list. Think about it: An all-American wine list in Dallas, Texas in the mid-1970s. The only other restaurant I knew of in the U.S with an all-American list at that time was the Wooden Angel in Beaver, PA. At Arthur’s, “Bourbon and Branch” was often the beverage of choice, but when guests asked for a wine, they wanted a wine from France, maybe Germany. But the U.S.A.? Really? We had a good list with wines from producers such as Beaulieu Vineyard, Heitz Cellars, Louis Martini, Ridge and Robert Mondavi among others. However, Americans, at least in Texas, were skeptical about home-grown wines. It taught me about the prejudices we can have about developing wine regions. For those who were interested in wine with dinner, but were mystified by the selection, I would ask about the type of wine they enjoyed. I would then suggest a wine that was similar in flavor profile and style. With few exceptions, guests were pleased and impressed with the wines they tasted. We were winning hearts and palates one bottle at a time. It took a group of French wine experts ranking California wines over French for Americans to finally decide that it was okay to drink American. Taber noted in his book, Judgement in Paris that Robert Mondavi said in his autobiography, "The Paris tasting was an enormous event in the history of California wine making. It put us squarely on the wine map of great wine-producing regions. I saw the impact everywhere I went. Suddenly people had a new respect for what we were doing. They saw we could make wines as good as the best in France." For that tasting alone Steven Spurrier is a hero to me. He made the world aware of the quality of California wines. He may be famous for that tasting, but he didn’t stop there. He has spent his life working with wine: Selling it, teaching it, judging it, writing about it, making it, loving it. I have had the privilege over the years to see him at a few events. He is always approachable and down to earth. 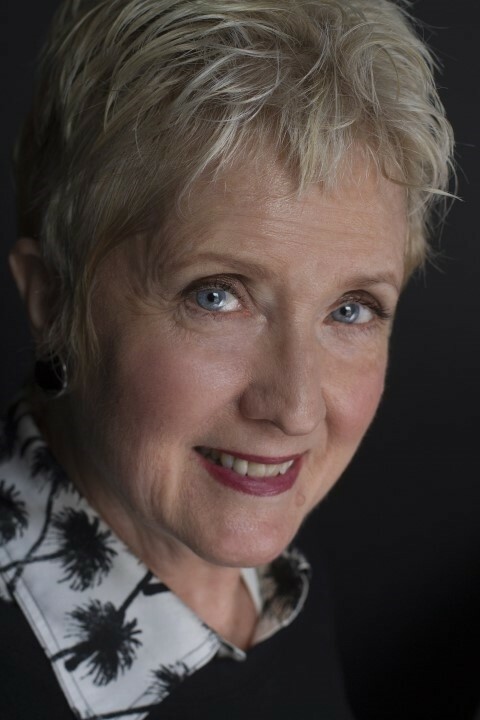 When I found out that he would be the keynote speaker at the 2018 Napa Valley Symposium for Professional Wine Writers at Meadowood, I immediately applied and was delighted to be accepted as a fellow. Depending upon which side of the Atlantic you reside, it was serendipitous, or disastrous that the only member of the press in attendance was a reporter for Time magazine who had taken a wine course at L’Académie du Vin. The only other wine related cover of the publication I could find is a quick online search was the November 27, 1972 issue featuring Ernest and Julio Gallo. Wine doesn’t usually make the cover or front page of non-wine publications. I was quite aware of how the tasting had affected me, since I was working with a rich inventory of California wines. In fact, I was sitting on ten cases of 1973 Stag’s Leap Wine Cellars Cabernet Sauvignon when the story broke. What I hadn’t thought about was how it affected Steven. The French were irate at him, as well as the judges. There were claims of cheating, or of rigging the judging. He said he became “persona non grata” among certain groups. Chateau Montelena: The Napa Valley, Chardonnay 2011 ($64) shows subtle aromas of apple and citrus, youthful fruit in the mouth, bright, fresh and crisp with mouthwatering acidity. Clos du Val: The Napa Valley, Stags Leap District, Estate Cabernet Sauvignon 2014 ($126) has it all together with a cheerful touch of red in the color, a floral note in the aromas and subtle, savory cassis fruit finishing with fine tannins. The 1979 Reserve Cabernet Sauvignon ($133) is handsomely structured and smooth in the mouth with a delicate balance of fruit, acidity and polished tannins introduced by spicy, cedar aromas and finishing with a long cedar aftertaste. Freemark Abbey: The Napa Valley, Rutherford, Bouché, Cabernet Sauvignon 2014 ($147) has rich earthy aromas, round and spicy in the mouth and chewy tannins needing time to pull it all together. The 2002 Napa Valley, Bouché Cabernet Sauvignon 2002 ($59) shows how beautiful the 2014 can be when it does come together. This wine is seamless and balanced with cassis flavors with a note of dark chocolate and smooth with sllky tannins. Heitz Cellars: The Napa Valley, Linda Falls Vineyard, Cabernet Sauvignon 2013 ($153) is shy in aromas with a touch of tobacco, tightly structured and mouthwatering with integrated black berry, cherry, cassis fruit and sturdy tannins. The 1997 Martha’s Vineyard, Cabernet Sauvignon ($282) is showing deep, rich and spicy black fruit aromas enriched with the trademark eucalyptus. Quite young and chewy in the mouth with a mouthwatering finish. Spring Mountain Vineyard: The Napa Valley, Estate Bottled Elivette 2014 ($150) shows spicy red cherry fruit with a touch of cocoa. It’s taut in the mouth with ripe, polished tannins. The Elivette 2005 ($170) is primarily Cabernet Sauvignon with small percentages of Cabernet Franc, Merlot and Petite Verdo. It has a haunting bouquet with a touch of Asian spice, elegant, layered flavors of spiced strawberry, cassis fruit and vivid acidity finishing with polished tannins. Mayacamas Vineyards: The Napa Valley, Mt. Veeder, Cabernet Sauvignon 2013 ($125) has earthy, black fruit aromas with fresh, woody herbal notes, intense black berry, cassis fruit, tightly structured with grainy tannins. The 2004 Cabernet Sauvignon ($114) offers supple, rich wild blackberry, cassis fruit, with a touch of tobacco richly integrated with burnished tannins. Stag’s Leap Wine Cellars: The Napa Valley, S.L.V., Estate Grown, Cabernet Sauvignon 2014 ($146) is juicy and delicious with forward black cherry berry aromas, alluring round and juicy fruit, smooth and round in the mouth. Quite approachable today. The 1994 Cabernet Sauvignon ($186) shows a mélange of black cherry, molasses and black olive aromas, plush in the mouth with crisp acidity and decisive tannins. It was such an honor and a rich educational experience to spend time with the speakers, fellows, staff and Napa Valley Vintners at the 2018 Symposium for Professional Wine Writers. It was especially significant for me to be able to learn more from and about Steven Spurrier. He has forged a rich, exciting and significant career in wine. He has chronicled his experiences in an autobiography released in England in May and now available in the U.S. through Amazon. 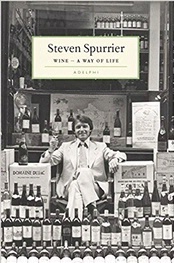 It is aptly titled Steven Spurrier: Wine -- A Way of Life and is overflowing with wines, people and places. It describes a man who is curious, generous, sometimes to a fault, a risk-taker, an adventurer with an insatiable love of wine. I highly recommend it.